For all three of you who thought Warhammer 40k was just too tame. Halloween may be over, but that doesn't mean you can't enjoy watching Space Marines get drenched in blood as though they're heavily armored versions of Carrie White. 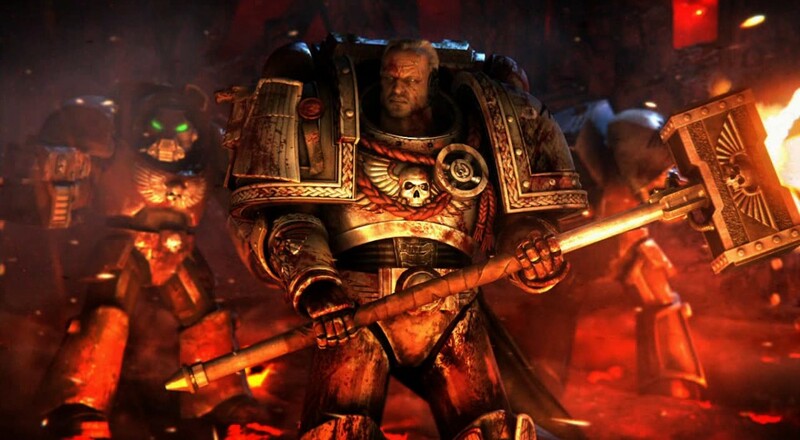 Thanks to the new "Ridiculously Bloody Blood Pack", Dawn of War II: Retribution will make every shotgun blast, every Tyranid bite, and every psyker strike that much gorier, and all for the low, low price of $1.99. Just think, for the price of a cup of coffee, you could watch your digital warriors cover themselves in the inner workings of their friends and comrades. Touching. Never mind the fact that Retribution is about four and a half years old, and never mind the fact that adding gore to a Warhammer game seems mildly superfluous. This new DLC gives those who delight in the visual chaos of combat another reason to dive back into the game's many co-op campaigns. We thought Retribution was pretty rad, so any excuse to cooperatively guide a few hardened squads through battle (including the wave-based Last Stand mode) is plenty. Thanks in part to the newfound ease of selling and patching classic games, we've been seeing a number of older titles receive new content or fixes. While this specific case isn't exactly a huge change, it's nice to see Relic Entertainment show their game and its community some much-deserved love. If you happened to miss last month's Free Weekend offer on the Dawn of War franchise, check out some video replays of the game's three player Last Stand mode to see if this brand of Ork mutilation is right for you. Page created in 0.2316 seconds.